VERY SIMPLE–YOU BET!! VERY DIFFERENT–YOU BET!! VERY PROFITABLE --YOU BET!!! method for spotting PTP’s.By so doing you have nothing to lose (except your time),but maybe something to gain. 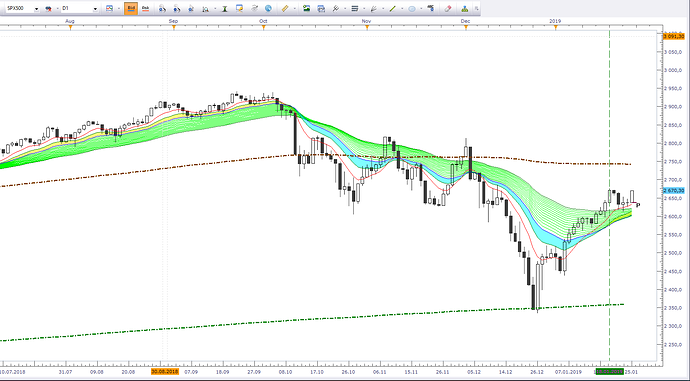 trade is closed–the chart has reversed direction, so a new buy trade is opened in the new chart direction. This system sounds quite simple. Yes I would like a copy of your financial plan to be able to follow this system more thoroughly. You never said what you use the RSI for and what do you mean by “color it WHITE”? my trades are a higher percentage per available capital. this can be adjusted up or down to suit your trading style. will take care of the rest.The plan does not tell you how much money to withdraw ,or when–you’ll have to do this on your own!! account balance.This is ideal for easier follow up on how well a particular pair is doing,but a single account could be used for more than one pair if that is more convenient. Col.11-- Prof / loss-- Pips–$ amt. per trade–so that not too bad! I hope this is enough to allow you you to check it out. If I can be of any more help please contact me. Just for what its worth one doesn’t nee a lot of money to get started–with concistant good paying winnings a small wad can soon become a wad-- I think an amount of $5000 is a pretty good starting base–for this amount you would start with 10000 units and increased in multiples of 10000 units- If you can afford more all the better–profits will build faster(losses also faster if you don’t do things right. I took the liberty to paraphrase this strategy so that I could follow it along more easily and clearly. It is not my intention to offend the OP CaptGrumpy, and I hope he does not take it that way. Indeed I am truly very grateful that he has taken the trouble to freely give his time to place this beautiful strategy in our hands. My only intention is to bring it to the thread in as clear a form as possible, without losing any of the original substance. If CaptGrumpy finds I have strayed from his strategy, I would be very pleased if he could bring it back to a correct form. In the meantime, I am going to practice this as often as I can, until I have a degree of certainty that I do not currently have, to trade this strategy. So - on with the paraphrasing. And please read my final observations at the end. Thank you. First off everything here is based on the OANDA platform and 12H charts. Only 1 currency pair is traded as price moves across the chart. Entry point is at a Potential Trading Point (PTP) at the beginning of a HA Bar run. Exit point is at a PTP at the end of a HA Bar run. At EXIT, the chart has already reversed direction. ie and EXIT becomes an ENTRY in the opposite direction. The Key is in the way the chart is set up. You can have 6 or 8 of the major currency pairs in your quote list. Bring up a 12 hour chart. The GJ is a good starting chart. Add the WMA 5 (W5) and the WMA 14 (W14). Add the RSI 4 (RSI 4). Set the ‘style’ at THICK. Save the setup as a Template for other charts. On the chart you see the Heiken Ashi bars dominating the screen with the W5 and W14 MA’s. When the HA Bars change colour it indicates a reversal. Around the same time note W5 changes direction. This I call a PTP. At the beginning of a rally a buy trade is opened. Close the trade at the end of the rally. When a trade is closed, direction has reversed so a sell trade is opened. When a trade is opened follow the W5 until it hits the W14. If the W14 is going the same way as the W5, follow the W14 until a new PTP occurs and trade as above. For the INITIAL trade, find a PTP at the end or beginning of a HA Bar run. Assume it is a PTP at the bottom of a correction, so open the first BUY trade. Follow the chart lines up until the next PTP. Close that BUY trade and immediately open a SELL trade. Now follow the W5 until it hits the W14. If the W14 is going the same way as the W5 continue to follow the W14 to the next PTP. At the next PTP close the open trade. Or if the W14 is going the opposite way to the W5 the open trade is closed at the crossing of the W5 and W14. Look over all the charts making trades as shown. Keep accurate records. Do practice trades - lots of them - until you are very good at spotting those elusive PTP’s. Unless you have constructed the charts along the suggested lines, you will already be lost and saying “This is all too hard.” I know because it happened to me, until I had a correctly constructed chart in front of me to follow along. A Trade is not closed unless a PTP occurs. Now, a PTP can occur at a change of colour of the HA Bar, and at this time the W5 will bend towards the W14. If they are both travelling in the same direction – up or down, then do nothing until they cross. That crossing will ALWAYS involve a change in colour of the HA Bars. But, that change of colour may PRECEDE a crossing of the W5 and W14. What! Well don’t be alarmed or confused. This is where practice comes in – practice, practice, practice! I am not surprised this thread didn’t develop. And it is not the fault of the OP. It’s the traders who read this and passed. How many actually bothered to construct the charts as instructed? This is one of the best higher TF strategies that I have ever seen. The HA Bars smooth out volatility and the use of the 12H charts help reduce the whip-lash that so often chases traders out of their trades before they even get established. Traders who are used to using HA Bars will know that an uptrend is strong when the bottoms of the green (rising) bars are flat, and only show weakening momentum when those lower shadows (tails) begin to appear. The tops of the RED (falling) bars are flat in a strong downtrend, and only begin to display weakening momentum when upper shadows (tails) begin to appear. In applying this knowledge to your trading, make observations of as many of your charts as you can with the HA Bars on display. THEN you will develop the confidence to trade this much more quickly. And as mentioned, practice cements this strategy in your trading mind. It is a beauty, and I thank CaptGrumpy for taking the time to bring it to us. Feel free to point out or make corrections to any errors, and do please give this a good trial yourself. There is one item I omitted to mention - the RSI 4. CaptGrumpy, could you please tell us where you think this indicator is best used for this strategy? I am sure it is tied in with momentum, or trend strength, to give us stronger confidence to remain in trades, or earlier signals to prepare to close out of a trade. You must have had a good reason for including it, but I can’t work it in without your help. Hope you can clear this up for me please. Nice to see you back here @Ingot54! It is always a pleasure to see earlier posters returning here. We have not shared any topics before but I did read your “Rainbow” system thread some time back. My own charting bears some resemblance to that and the Guppy type MMA’s. Twelve years on from your joining, how are you doing? Hey mate - thanks for the welcome. Haven’t been on any forums really - just an occasional browse - no posting. Making a bit of a hobby of searching this site for higher TF systems. This one looks ok. I am having a bit of a problem with HA bars/candles: they always look good in hindsight. I think it’s a matter of allowing the candles time to close, and not jump in too early. Even allowing time for an extra candle to form is fine. 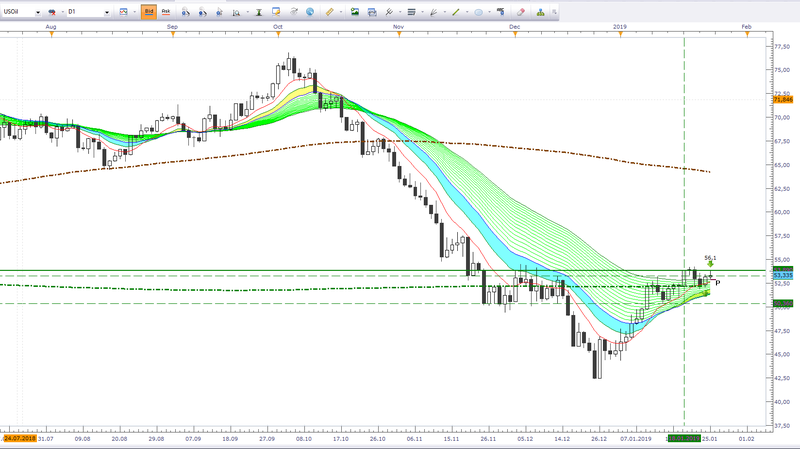 You may miss a nice move occasionally, but it’s better than getting stopped out when a false break snatches your money. Would have been nice to see the OP hang around a bit - even if just long enough to process a few trades. But at least he planted the seeds. Taking any trades? Looking at higher TF too? This method is a somewhat interesting design but I also do not like HA candles much. They do help to keep one in a trend but they look better than they really are because the HA close is different to the actual candle close due to the HA calculation formula, where HA close= average of the open, close, high and low prices. Yes, I do use a daily chart for my overview, but my trades are based on a 4H/1H combination within the overall context of the daily chart. This does not mean that I only trade in the direction of the daily, rather it gives a measure of the relative risk in either direction vis a vis the daily and the potential move expectancy. Needless to say, mine is a discretionary approach rather than mechanical! I use charts to tell me when it is wise/safe to cross the road, but not to actually order me to blindly cross! 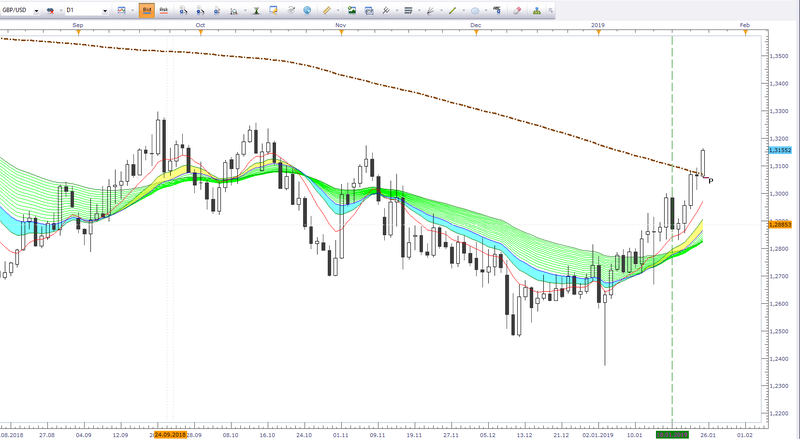 As I mentioned earlier, I do use MMA’s a lot together with the 200SMA levels on all TFs: weekly, daily, 4H, and 1H. As a rule, I would say that this forum is very much biased against using indicators and most people favour PA, but I have always liked MA’s and use little else. I have a chart that shows that on 1st January every year, Gold begins an annual rise. This happened 6 times out of the past 8 Januaries, and 5 out of the last 5 Januaries. So I traded it this year and made $USD11 trading 0.5 contracts. With the AUD at $USD.72 I netted approx $800AUD. Pulled it out and waited. Jumped in again at $1303 (29th January 0.75 contracts) and again at $1310 (30th January 0.50 contracts) and watched it rise to $1315. During the retrace on 31st January I got shaken out and closed both positions at $1311 and went to sleep. Next morning I found that gold had hit $1326!!!. That’s it for me - if I’d only gone to bed instead of watching the market, my profit would be more than $5000. So I repatriated all funds in my account back into savings with my bank, and have not been tempted to trade again. I don’t think I have the discipline to be a good trader. Even the daily candles would have kept me in the trade, because support was only $3 away. Imagine that - throwing away a $15 profit in Gold, for the sake of a $3 retrace!!! I have stopped beating myself up, but I still sweat when I look at a chart of Gold. However, it is strange thing about trading that one can be very effective in creating and reading a chart view and yet fail to trade it successfully. I am sure that is by no means unusual amongst traders, so certainly don’t beat yourself up about that - besides you did end up with a profit, that is in itself quite an achievement nowadays! Judging by your username, have you always specialised in gold? Have you tried other instruments at all? MIght it help you to stick to your technicals if you traded something a little less sizeable, which might take your attention off the dollars and keep your focus on the chart? Somehow seems a waste of a good trader to retire because of some inefficiency in optimising profits!!! Maybe you should take a look at black gold instead for a while!! Manxx - do you remember in 2008 when oil shot up $10 to $15 in a session? I made $11,000 in about an hour one night. Ended up giving back $8000. I repeated this silliness several times in my trading career. With my recent Gold trades, I was under-capitalised for the number of contracts I took. So when Gold retraced those $3, I got wobbly knees and just closed out to preserve profits. The remorse came next morning - I was speechless and wanted to break something because of my own gutlessness. But out of it all came the realisation that I brought it on myself because of having so much at risk based on a small retrace. Over-leveraging I think I’d call it. Took a few days to talk to my wife about it, but she shrugged it off. By the way - I have corrected the first paragraph in my post above where I discussed my Gold trade. It now reads “$USD11” instead of $USD 1" I felt very pleased about that first trade. But I may have done better simply by buying and holding for the entire month. Gold went up $17 in January. Certainly would not have had the angst.